♥ Description: So sweet! 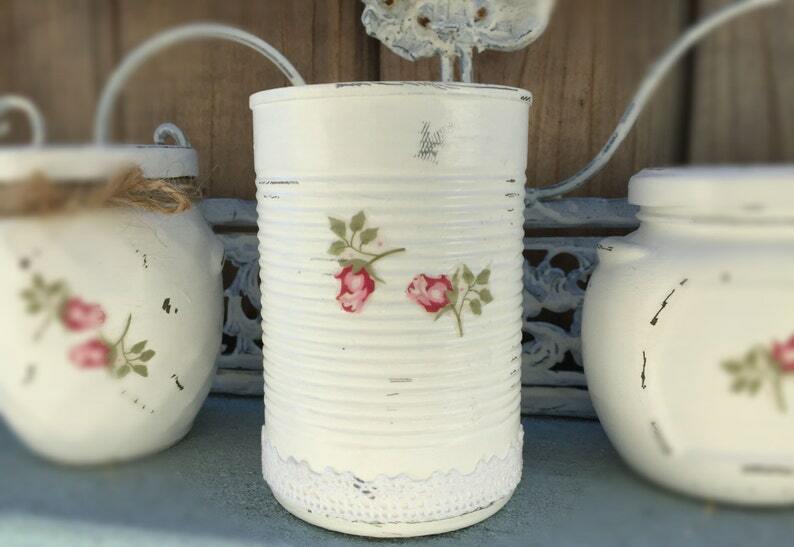 Recycled salvaged tin can that I handpainted in white and decoupaged rosebuds on the front. All background items, flowers, props, decor, etc., are not included. Most my handcrafted designs are created from salvaged recycled materials, then "upcycled", altered, repurposed, embellished and made pretty for you! Keep in mind, that your item is most likely from recycled salvaged materials and may show signs of little wear, small areas of rust, small little dents, but that adds to the rustic, shabby chic charm. If your item is painted or comes decoupaged do not submerge in water, indoor use only. Temporary outdoor use only. ♥ Uses: Vase, centerpieces, home, dorm, nursery, office decor, make up brush holder, pens pencils holder, etc. Super fun stuff!!! Loved everything I bought!! 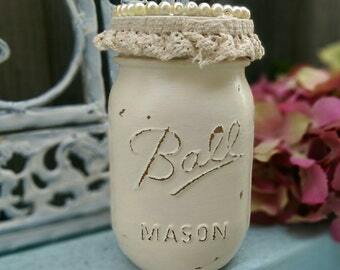 Absolutely love this jar. This puns are adorable too. Thank you so much.